Area: 41,526 sq. km. (16,485 sq. mi. ); about half the size of South Carolina. Cities: Capital: Amsterdam (pop. 767,457). Other cities — The Hague, seat of government (488,553); Rotterdam (593,049); Utrecht (307,081). Climate: Northern maritime, with cool summers and mild winters. Nationality: Noun: Dutchmen and Dutchwomen. Adjective — Dutch. Ethnic groups: Predominantly Dutch; large minority communities are Moroccans, Turks, Surinamese, and Dutch Caribbean. Religions: Largest groups are Roman Catholic, Protestant, and Muslim. Education: Years compulsory: 13. Attendance — nearly 100%. Literacy — 98%. Health: Infant mortality rate: 4.4/1000. Life expectancy — 78.3 years for men and 82.3 years for women. Civilian employment (2009, 7.887 million): industry — 16.6%; services — 81.8%; agriculture — 1.6%. Branches: Executive: monarch (chief of state), prime minister (head of government), cabinet. Legislative — bicameral parliament (First and Second Chambers). Judicial — Supreme Court. Political parties: Christian Democratic Appeal (CDA), Freedom Party (PVV), Labor Party (PvdA), Liberal Party (VVD), Socialist Party (SP), other minor parties. GDP growth (2011 est. ): 2.0%. GDP per capita (2010): $ 41,691. Agriculture (2% of GDP): Products: dairy, poultry, meat, livestock, flower bulbs, cut flowers, vegetables and fruits, sugar beets, potatoes, wheat, barley. Industry (24% of GDP): Types: agro-industries, steel and aluminum, metal and engineering products, electric machinery and equipment, bulk chemicals, natural gas, petroleum products, construction, transport equipment, microelectronics, fishing. Services (74% of GDP): Types: trade, hotels, restaurants, transport, storage and communication, financial (banking and insurance) and business services, care, and other. Trade (2010): Exports: $523.3 billion f.o.b. : machinery and transport equipment, chemicals, mineral fuels, processed food and tobacco, agricultural products. Imports — $468.4 billion f.o.b. : mineral fuels and crude petroleum, machinery, transportation equipment, chemicals, mineral fuels and crude petroleum, consumer goods, foodstuffs. Major trading partners (exports/imports — EU (74.0%/53.3%), Germany (24.2%/17.7%), Belgium (11.1%/9.6%), China (1.5%/9.3%), United Kingdom (8.04%/6.7%), and U.S. (4.6%/7.6%), and France (8.7%/4.5%)..
*Figures are based on a June 2011 exchange rate of 0.70 euro to the dollar. During the 17th century, considered its "golden era," the Netherlands became a great sea and colonial power. Among other achievements, this period saw the emergence of some of painting's "Old Masters," including Rembrandt, Vermeer, and Hals, whose works — along with those of later artists such as Mondriaan and Van Gogh — are today on display in museums throughout the Netherlands and the world. The country's importance declined, however, with the gradual loss of Dutch technological superiority and after wars with Spain, France, and England in the 17th and 18th century. The Dutch United Provinces supported the Americans in the Revolutionary War. In 1795, French troops ousted Willem V of Orange, the Stadhouder under the Dutch Republic and head of the House of Orange. The Netherlands experienced a brief period of being a client state of France, under the Batavian Republic , then as the Kingdom of Holland, ruled by Louis Bonaparte, and finally as part of France. The Netherlands proclaimed neutrality at the start of both world wars. Although it escaped occupation in World War I, German troops overran the country in May 1940. Queen Wilhelmina fled to London and established a government-in-exile. During the war, the Nazis rounded up the Jewish population before deporting them to camps in the East. Over 75% of the Netherlands' 140,000 Jews died at the hands of the Nazis. Shortly after the Netherlands was liberated in May 1945, the Queen returned. Crown Princess Juliana acceded to the throne in 1948 upon her mother's abdication. In April 1980, Queen Juliana abdicated in favor of her daughter, now Queen Beatrix. Crown Prince Willem-Alexander was born in 1967. 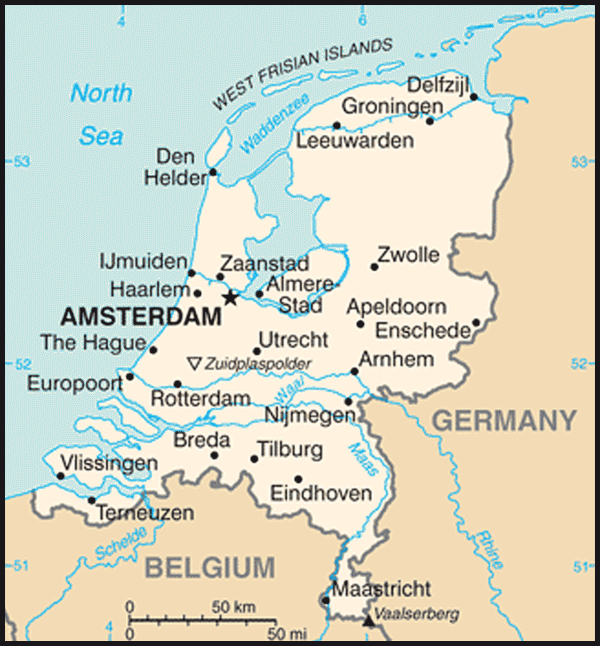 Elements of the Netherlands' once far-flung empire were granted either full independence or nearly complete autonomy after World War II. Indonesia formally gained its independence in 1949, and Suriname became independent in 1975. In the Caribbean, what was known as the Netherlands Antilles dissolved on October 10, 2010. The islands of Aruba and Curacao, and Sint Maarten (the Dutch two-fifths of the island of Saint Martin) enjoy a large degree of autonomy as constituent members of the Kingdom of the Netherlands. Meanwhile, the islands of Bonaire, Saba, and Sint Eustatius are considered to be special public bodies within the Netherlands. The present constitution — which dates from 1848 and has been amended several times, most recently in 1983 — protects individual and political freedoms, including freedom of religion. Although church and state are separate, a few historical ties remain; the royal family belongs to the Dutch Reformed Church (Protestant). Freedom of speech also is protected. The country's government is based on the principles of ministerial responsibility and parliamentary government. The national government comprises three main institutions: the Monarch, the Council of Ministers, and the States General (parliament). There also are local governments. The Monarch. The monarch is the titular head of state. The Queen's function is largely ceremonial, but she does have some influence deriving from the traditional veneration of the House of Orange, from which Dutch monarchs for more than 3 centuries have descended. Her influence also derives from her personal qualities and her power to appoint the "formateur," who forms the Council of Ministers following elections. Council of Ministers. The Council of Ministers plans and implements government policy. The Monarch and the Council of Ministers together are called the Crown. Most ministers also head government ministries, although ministers-without-portfolio exist. The ministers, collectively and individually, are responsible to the States General. Unlike the British system, Dutch ministers cannot simultaneously be members of parliament. The Council of State is a constitutionally established advisory body to the government that consists of members of the royal family and Crown-appointed members generally having political, academic, diplomatic, or military experience. The Council of State must be consulted by the cabinet on proposed legislation before a law is submitted to the parliament. The Council of State also serves as the country's highest administrative court . States General. The Dutch parliament consists of two houses, the First Chamber ("Senate") and the Second Chamber ("House of Representatives"). Historically, Dutch governments have been based on the support of a majority in both houses of parliament. The Second Chamber is by far the more important of the two houses. It alone has the right to initiate legislation and amend bills submitted by the Council of Ministers. It shares with the First Chamber the right to question ministers and state secretaries. The Second Chamber consists of 150 members, elected directly for a 4-year term — unless the government falls prematurely — on the basis of a nationwide system of proportional representation. This system means that members represent the whole country — rather than individual districts as in the United States — and are normally elected on a party slate, not on a personal basis. There is no threshold for small-party representation. Campaigns are relatively short, lasting usually about a month, and the election budgets of each party tend to be less than $2 million. The electoral system makes a coalition government almost inevitable. The last election of the Second Chamber was in June 2010. The First Chamber is composed of 75 members elected for 4-year terms by the 12 provincial legislatures. It cannot initiate or amend legislation, but its approval of bills passed by the Second Chamber is required before bills become law. The First Chamber generally meets only once a week, and its members usually have other full-time jobs. The current First Chamber was elected following provincial elections in May 2011. Current Government. General elections (of the Second Chamber) were held in June 2010. On October 14, 2010, a new minority government of the Liberal Party (VVD) and Christian Democratic Appeal (CDA) was sworn in, headed by Prime Minister Mark Rutte (VVD). This government relies on parliamentary support from the Freedom Party (PVV). Given the consensus-based nature of Dutch politics, a change of government does not usually result in drastic changes in foreign or domestic policy. Descriptions of the four main parties follow. The Liberal Party (VVD), which is considered "liberal" in the European rather than American sense, emerged from the June elections as the largest party with 31 seats, although with a slim margin. Considered the most conservative of the major parties, the Liberals attach great importance to private enterprise and the freedom of the individual in political, social, and economic affairs. The second-place finisher in the June elections was the Labor Party (PvdA), with 30 seats. PvdA is a classic European social democratic party, which is left of center. Labor's emphasis is economic equality for citizens, though the party has debated the role of the central government in that process. PvdA has no formal links to the country's trade unions. The right wing, populist Freedom Party (PVV) achieved more gains than any other party in June, becoming the third-largest with 24 seats. PVV, lead by Geert Wilders, primarily runs on an anti-Islam and anti-immigrant ticket, along with a nationalist agenda that voices little support for European integration, Dutch participation in crisis management operations, or development assistance. On socio-economic issues, however, PVV tends to be "conservatively" left-of-center. The once-dominant Christian Democratic Appeal Party (CDA) slipped into fourth position, losing 20 of its previous 41 seats. CDA supports free enterprise and holds to the principle that government activity should supplement but not supplant communal action by citizens. On the political spectrum, the CDA sees its philosophy as standing between the "individualism" of the Liberals and the "statism" of the Labor Party. Despite the government's long-term efforts to combat production of and trafficking in narcotic drugs, the Netherlands continues to be a significant transit point for drugs entering Europe (especially cocaine), and an important producer and exporter of synthetic drugs, particularly Ecstasy (MDMA), although MDMA production appears to have declined significantly in recent years. Dutch authorities received no reports of ecstasy tablet seizures in the United States linked to the Netherlands in 2009. Cultivation of Dutch-grown cannabis ("Nederwiet") is extensive. In July 2008, the Justice and Interior Ministers established a task force to combat the criminal organizations behind cannabis plantations. In June 2011, the Cabinet approved measures to reduce drug-related nuisance and drug tourism. The Cabinet proposed that coffeeshops become private clubs for the local market only accessible to Dutch citizens upon display of their ID's. A maximum ceiling will be set on membership per individual coffeeshop. The "100% controls" at Schiphol airport in Amsterdam on inbound flights from the Caribbean and some South American and West African countries have resulted in a sharp decline in the number of drug couriers from those countries. The Dutch Opium Act punishes possession, commercial distribution, production, import, and export of all illicit drugs. Drug use, however, is not an offense. The act distinguishes between "hard" drugs that have "unacceptable" risks (e.g., heroin, cocaine, Ecstasy) and "soft" drugs (cannabis products). One of the main aims of this policy is to separate the markets for soft and hard drugs so that soft drug users are less likely to come into contact with hard drugs. Sales of small quantities (under five grams) of cannabis products are tolerated in "coffeeshops" operating under strict conditions and controls. The United States continues to disagree with this aspect of Dutch drug policy. Trafficking in "hard" drugs is prosecuted vigorously. Overall, the Health Ministry coordinates drug policy, while the Ministry of Justice is responsible for law enforcement. At the municipal level, policy is coordinated in tripartite consultations among the mayor, the chief public prosecutor, and the police. The Netherlands has a wide variety of demand-reduction and harm-reduction programs reaching about 70% of the country's 24,000-46,000 opiate addicts. The number of opiate addicts has stabilized over the past few years, with the average age rising to 44, and the number of overdose deaths related to opiates stabilizing at between 30 and 50 per year. The Netherlands supports counterterrorism efforts with leadership, personnel, and material. The Netherlands is a party to all 12 UN counterterrorism conventions. In August 2004, the Act on Terrorist Crimes, implementing the 2002 European Union (EU) framework decision on combating terrorism, became effective. The act makes recruitment for the Jihad and conspiracy with the aim of committing a serious terrorist crime separate criminal offenses. A first government assessment of Dutch counterterrorist measures over the past 10 years, published in January 2011, concluded that Dutch counterterrorism policy is solid and reliable, and the package of measures is well-balanced and in line with the members of the European Convention on Human Rights. In December 2010, the appeals court in Amsterdam found the seven members of the "Hofstad" terror group guilty of participating in a criminal and terrorist organization and imposed prison sentences of between 15 months and 13 years against the seven. The appeals court verdict was the latest in a long legal process against the group. In June 2011, the National Counterterrorism Coordinator's Office (NCTb) maintained the terror threat level at "limited." (The Netherlands has four threat levels: minimum, limited, substantial, and critical.) According to the NCTb, this means that the chance of an attack in the Netherlands or against Dutch interests is relatively small but cannot be ruled out. The NCTb believes that the threat of an attack against Dutch interests abroad is greater in countries and regions where groups affiliated with al Qa'ida are more active than in the Netherlands itself. The Dutch have taken a leading role in the European Union, the Financial Action Task Force (FATF), and other bodies to establish financial protocols to combat terrorism. They have assisted countries that lack the capacity to implement measures to combat terrorist financing. The Dutch Government takes steps to freeze the assets of individuals and entities included on the UN Security Council Resolution (UNSCR) 1267 Sanctions Committee's consolidated list. In August 2008, the Prevention of Money Laundering and Financing of Terrorism Act (WWFT) became effective. The act incorporated the EU's third Money Laundering Directive into Dutch national law. The Netherlands is an active participant in the Container Security Initiative at Rotterdam, one of Europe's busiest ports. The Dutch Government also permits U.S. CBP Immigration Liaison Officers at Schiphol airport to assist with U.S.-bound passenger screening (the program is now known as the Immigration Advisory Program - IAP). In April 2009, Dutch and U.S. authorities performed the opening of the new FLUX (Fast Low Risk Universal Crossing) system at some 20 U.S. airports enabling registered travelers that have submitted to a security assessment to go straight through U.S. immigration controls using iris scanners. The Netherlands deploys full body scanners on flights from Schiphol airport to the U.S. In November 2010, the Netherlands and the U.S. signed an agreement on Preventing and Combating Serious Crime (PCSC) that allows for the exchange of fingerprints and other data of known terrorists and criminals while protecting individual privacy. The Netherlands' embassy (http://dc.the-netherlands.org/) in the U.S. is at 4200 Linnean Avenue, NW, Washington, DC 20008; tel: 877-388-2443; fax: 202-362-3430. The global financial crisis hit the Netherlands hard in the fall 2008; the Dutch economy entered recession in the fourth quarter of 2008, but annual GDP growth that year was still 1.9%. In 2009, however, the economy shrank by 3.9%. The economy recovered slowly in 2010 with an annual growth rate of 1.8%. The recovery is forecasted to continue with an expected growth of 2% in 2011.This is mainly due to the increase in international trade, the largest engine of the Dutch economy; however, growth is expected to slow to 1.75% in 2012. In 2010, the exports increased by 12.8% and imports by 11.7%, in 2011 the forecasted figures are 6.75% and 5.25%. The expected national budget deficit (3.7% of GDP) and government debt (64.1%) still are cause for concern as they exceed the limits set by the European Growth and Stability Pact. In order to fight against the consequences of the crisis, the government launched three economic stimulus packages since November 2008. The first package was worth about $8.3 billion, the second consisted mainly of government guarantees to stimulate lending and exports, and the third was worth $9 billion, bringing the total value of the stimulus measures to $17.3 billion, or approximately 2% of GDP. The state finances deteriorated further due to government interventions in the financial sector, including the nationalization of the Dutch activities of ABN Amro/Fortis Bank (costing a total of $37.6 billion), and capital injections to ING ($12.5 billion total) and other financial institutions whose balance sheets were compromised by U.S. mortgage-backed securities and other toxic assets. The financial institutions are repaying their government loans. Private consumption dropped by 2.5% in 2009 and recovered by 0.3% in 2010. The slow recovery is expected to continue by 0.5%. in 2011 and 2012. The unemployment rate remained relatively low during the recession with 3.7% in 2009, peaking at 4.5% in 2010. It is forecasted to decrease to 4.25% in 2011 and 4% in 2012. After a drop in the early 2000s, business investment (excluding the housing sector) staged a recovery from 2005 onwards. In 2008, business investment was up 7.4%, but it decreased sharply by 18.2% in 2009. Despite predictions, the business investment's downfall did not continue as sharply as the drop was 'only' 1.5% in 2010; in 2011 the investments are predicted to grow by 5.75% and 4.25% in 2012. Before the onset of the financial crisis, many firms in the Netherlands cited a loss of competitiveness as a major impediment to growth as unit labor costs outpaced those of their major competitors, including within the euro area. Smaller wage increases codified in collective bargaining agreements before growth accelerated in 2006 helped Dutch firms stay competitive during this period. However, an increasing labor shortage resulted in higher wage demands in the second half of 2007 and into 2008, with the average wage increasing by 3.3%. The pace of job growth steadily increased up to 2008, but then declined sharply in 2009 as fallout from the financial crisis constricted demand. The labor productivity is increasing from the pit of -3.1% in 2009 to 3.5% in 2010 and to an expected 2.25% in 2011 and 1.75% in 2012. Inflation ranged from 1.1% to 2.5% between 2004 and 2008. In 2009, it fell to 1.2% and remained low at 1.3% in 2010. Due to international developments including the rapid demand growth in the emerging markets, the inflation is expected to grow by 2.25% in 2011 and 2012. 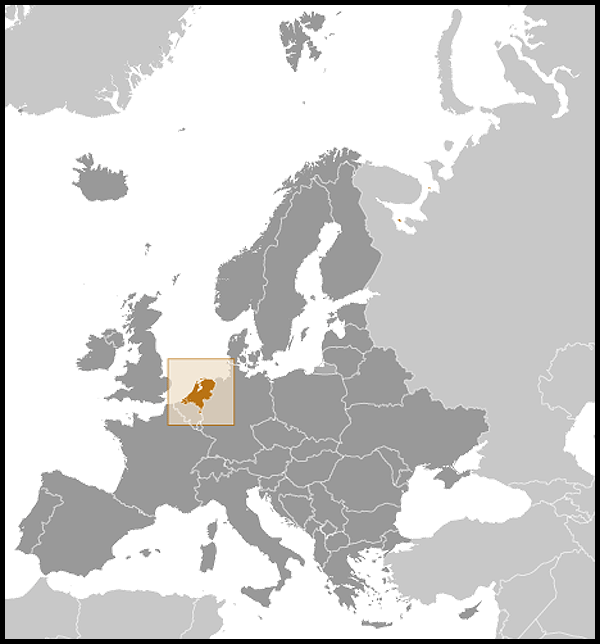 The Netherlands was one of the first EU member states to qualify for the Economic and Monetary Union (EMU). Traditionally, Dutch fiscal policy sought to strike a balance between further reductions in public spending and lower tax and social security contributions. During the first half of the current decade, the government struggled to keep the budget deficit within the limit of 3% of GDP set by the EU's Growth and Stability Pact. The government achieved a budget surplus of 0.5% in 2006, 0.2% in 2007, and 0.7% in 2008. This shifted to a deficit of 5.4% in 2009 as a result of the crisis, more specifically increased government spending on stimulus packages, unemployment benefits, and financial sector bailouts.. The deficit remained the same in 2010, but is expected to improve to 3.7% in 2011 and 2.2% in 2012, when the Netherlands will thus again comply with the EU's standards. The government debt has also increased rapidly from 45.5% in 2007 to 62.8% in 2010. The debt is expected to grow slowly to 64.1% in 2011 and 64.5% in 2012. In order to fight against the increasing government debt and deficit levels, the government announced it was going to cut spending by $26 billion by 2015. The largest austerity measures include the downsizing of government ($8.5 billion) and cutting back on 'income transfers,' i.e., subsidies including child daycare and rent subsidies ($6.1 billion). There are other significant cutbacks, for example, on defense, culture and innovation subsidies, and development cooperation. Although the private sector is the cornerstone of the economy, the Netherlands has traditionally had an important and vibrant public sector. Despite the fact that the government still plays a significant role through permit requirements and regulations pertaining to almost every aspect of economic activity, the goal of the new government is to reduce significantly the administrative burden on business and shrink the public sector. The government had steadily reduced its role in the economy since the 1980s, but it was forced to become somewhat more active again as the economic downturn necessitated its intervention in the financial sector. The financial institutions that received government aid in the midst of the crisis have almost paid back all the loans. The exception is nationalized ABN Amro Bank that will not be re-privatized before 2013. The new government also aims to privatize the public transport companies in the largest cities. In general, the government's ownership of private businesses continues to be limited. The Netherlands, where the total of goods, imports and exports is greater than the GDP, had a record trade surplus of approximately $47 billion in 2007. In 2008, this surplus decreased to approximately $43.2 billion, and in 2009 to $42.2 billion. With the escalation of the international trade in 2010, the Dutch trade surplus grew to $57 billion. With no significant trade or investment barriers, the Netherlands remains a receptive market for U.S. exports and an important investment partner. The Netherlands is the ninth-largest destination for U.S. exports ($35 billion in 2010), as well as the third-largest direct investor in the United States. Dutch accumulated direct investment in the United States in 2009 was $238 billion. The same year, the Netherlands was the largest destination for U.S. direct investment abroad with approximately $471 billion, representing approximately 13% of the total foreign direct investments. There are more than 1,600 U.S. companies with subsidiaries or offices in the Netherlands. The Dutch are strong proponents of free trade and staunch allies of the U.S. in international forums such as the World Trade Organization (WTO) and the Organization for Economic Cooperation and Development (OECD). Services account for about three-quarters of the national income and are primarily in transportation, distribution, logistics, and financial areas such as banking and insurance. Industrial activity generates about a fourth of the national product and is dominated by the metalworking, oil refining, chemical, and food processing industries. The agriculture and fisheries sector account for some 2% of GDP. Although Dutch crude oil production is small, in 2009 the Netherlands was the second-largest producer and the second-largest net exporter of natural gas in Europe (both after Norway). At the beginning of 2010, the country had 1.4 trillion cubic feet of natural gas reserves; the government earns approximately $14 billion annually from gas exploration and extraction through taxes and other levies. The port city of Rotterdam is one of the world's major centers for crude oil imports, trading, refining, and petrochemical production. Key sources of imported petroleum products include Russia, Saudi Arabia and Norway. Domestic gas resources are forecast to run out by 2030. To remain an energy player after its own resources are depleted, the Netherlands is cultivating energy relationships with potential long-term supplier countries such as Algeria, Kazakhstan, Libya, Qatar, and — most importantly — Russia. For example, Dutch gas pipeline company Gasunie, wholly owned by the Dutch Government, holds a 9% stake in Gazprom's Nord Stream pipeline, which will transport gas from Russia to Germany under the Baltic Sea. The Netherlands's goal is to become a gas "roundabout" for the Western Europe, meaning a hub that gathers natural gas from various sources (including the North Sea, Algerian and Qatari liquefied natural gas (LNG), and Russia), and then distributes it via pipeline to continental Europe. The Netherlands is a small and densely populated country. Its economy depends on industry (particularly chemicals and metal processing), intensive agriculture and horticulture, and infrastructure, which takes advantage of the country's geographical position at the heart of Europe's transportation network. These factors have led to major pressure on the environment. The government works closely with industry and nongovernmental organizations to reach environmental targets. The Dutch welcomed the EU's 2008 directive to cut greenhouse gas (GHG) emissions 20% from 1990 levels and increase power derived from renewable sources to 20% by 2020. The Netherlands has a binding national target to reduce emissions in sectors not covered by the EU emissions trading system by 16% in 2020. It also has a binding national target of 14% in 2020 for renewable energy. Many independent energy experts, however, consider the government's aggressive climate change targets to be overly optimistic. The Netherlands abandoned a longstanding policy of neutrality after World War II. The Dutch are engaged participants in international affairs. Dutch foreign policy is geared to promoting a wide variety of goals: the rule of law, human rights, and democracy. Priority is given to enhancing European integration, ensuring European security and stability (mainly through the mechanism of NATO and the EU, and by emphasizing the important role the United States plays in the security of Europe), and participating in conflict management and peacekeeping missions. In August 2010, the Netherlands withdrew its ground forces after more than 8 years in Afghanistan. It returned to Afghanistan in July 2011 with a police training mission in an EU and NATO context. The Netherlands generally pursues its foreign policy interests within the framework of multilateral organizations. The Netherlands is an active and responsible participant in the United Nations as well as other multilateral organizations such as NATO, the EU, the Organization for Security and Cooperation in Europe (OSCE), the Council of Europe (CoE), the Organization for Economic Cooperation and Development (OECD), the World Trade Organization (WTO), and the International Monetary Fund (IMF). A centuries-old tradition of legal scholarship has made the Netherlands the home of the International Court of Justice; the Permanent Court of Arbitration; the Yugoslavia War Crimes Tribunal; the Special Tribunal for Lebanon; the European judicial and police organizations Eurojust and Europol; and the International Criminal Court. Dutch security policy is based primarily on membership in NATO, which the Netherlands joined as a charter member in 1949. The Netherlands' post-war customs union with Belgium and Luxembourg (the Benelux group) paved the way for the formation of the European Community (precursor to the EU). Likewise, the Benelux abolition of internal border controls was a model for the wider Schengen accord, which today has 25 European signatories, including the Netherlands, pledged to common visa policies and free movement of people and goods across common borders. The Dutch have traditionally been strong advocates of European integration, and most aspects of their foreign, economic, and trade policies are coordinated through the European Union. However, Dutch voters rejected the EU constitutional treaty in June 2005. Parliament later approved the Lisbon Treaty in September 2008. The Dutch were key proponents of the 1992 Maastricht Treaty and were the architects of the 1998 Treaty of Amsterdam. 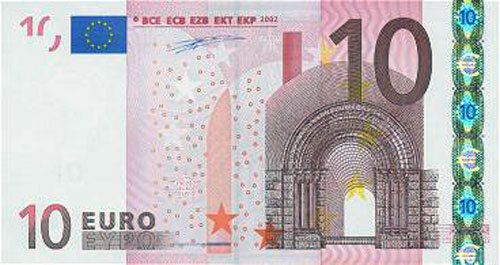 They have embraced the introduction of new member states and the common currency (euro). In recent years, however, the Dutch have become increasingly skeptical of the way the EU is run, its perceived inclination of taking on more tasks, and further enlargements. The Netherlands has traditionally been one of the world's most generous aid donors. Although the government reduced spending on Official Development Assistance (ODA) from 0.8% (approximately USD 6.3 billion in 2010) to a fixed 0.7% of GDP by 2012, the Netherlands still is the fifth largest aid donor in relative terms and the eight largest in absolute terms. For budgetary and ideological reasons, the aid policy was significantly restructured in 2011. The number of countries to which the Netherlands provides direct bilateral assistance was reduced from 33 to 15 countries. The remaining beneficiary countries include a number of fragile states and low-income countries that have insufficient resources to make investments needed to achieve the Millennium Development Goals. Dutch aid was also restructured to focus on four spearheads: security and the rule of law; food security; water; and HIV/AIDS and Sexual Reproductive Health and Rights (SRHR). Those areas were selected in the belief that the Netherlands with its specific expertise can make a difference in the areas. The Netherlands used to spend about 26 percent of its aid budget (on average USD 1.8 billion a year in the period 2006-2009) through multilateral channels, such as the World Bank, UNICEF, UNDP, FAO, ILO, WHO. However, it now believes these donations are too fragmented and it seeks to restructure them on the basis of the organizations' effectiveness and the added value of the Dutch priorities. The Dutch work closely with the United States and other countries on international programs against drug trafficking and organized crime. There is close Dutch-U.S. cooperation on joint counternarcotics operations in the Caribbean. The Netherlands actively participates in the Drug Enforcement Administration's (DEA) El Paso Intelligence Center (EPIC) and is a full member of DEA's International Drug Enforcement Conference (IDEC). The U.S. Coast Guard and the Royal Netherlands Navy actively work together in the drug transit zone in the Caribbean Sea through a bilateral Law Enforcement Detachment (LEDET) Arrangement. The Netherlands is a signatory to international counternarcotics agreements, a member of the UN Office on Drugs and Crime (UNODC), the UN Commission on Narcotic Drugs, and the 1990 Strasbourg Convention on Money Laundering and Confiscation, and is a major contributor to international counternarcotics projects. The U.S. partnership with the Netherlands is one of its oldest continuous relationships and dates back to the American Revolution. The excellent bilateral relations are based on close historical and cultural ties as well as a common dedication to individual freedom and human rights. The Netherlands shares with the United States a liberal economic outlook and firm commitment to free trade. The United States attaches great value to its strong economic and commercial ties with the Dutch. In 2009, the Netherlands was the largest destination for United States direct foreign investment, with 13.4% of the total. This made the United States the largest direct foreign investor in the Netherlands. Vice versa, the Netherlands was the third-largest direct foreign investor in the United States in 2009, and the Netherlands kept the same position in 2010. The United States and the Netherlands often have similar positions on issues and work together both bilaterally and multilaterally in such institutions as the United Nations and NATO. The Dutch have worked with the United States at the WTO and in the OECD, as well as within the EU to advance the shared goal of a more open, market-led global economy. The United States and the Netherlands joined NATO as charter members in 1949. The Dutch fought alongside the United States in the Korean War and the first Gulf War and have been active in global peacekeeping efforts in the former Yugoslavia, Afghanistan, and Iraq. The Netherlands played a leading role in the 1999 Kosovo air campaign. They currently are contributing to EU peacekeeping forces in Bosnia. The Dutch also support and participate in NATO training efforts in Iraq, the EU and NATO police training efforts in Afghanistan, the NATO mission in Libya and in both EU as well as NATO counter-piracy operations. The U.S. Embassy (http://thehague.usembassy.gov/) is located at Lange Voorhout 102, 2514 EJ The Hague; tel: 31-70-310-2209; fax: 31-70-310-2307. The Consulate General is at Museumplein 19, 1071 DJ Amsterdam; tel: 31-20-575-5309; fax: 31-20-679-0321.